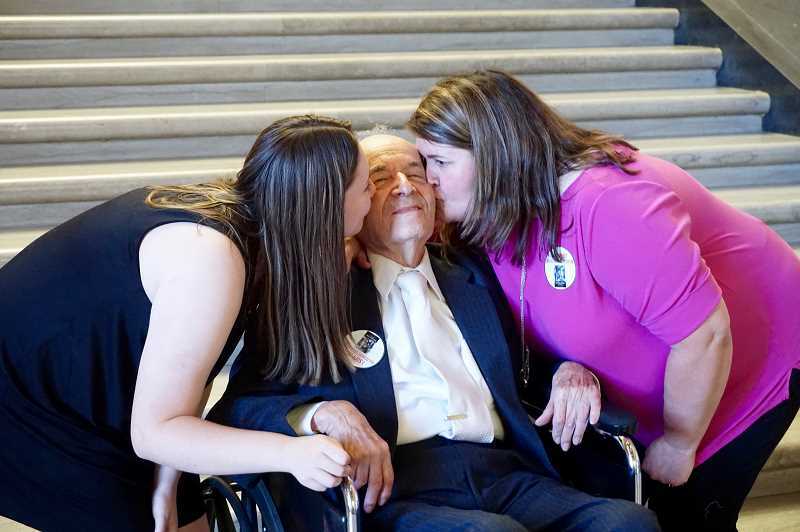 Lakeridge High ninth-grader Claire Sarnowski and Holocaust survivor Alter Wiener joined state Sen. 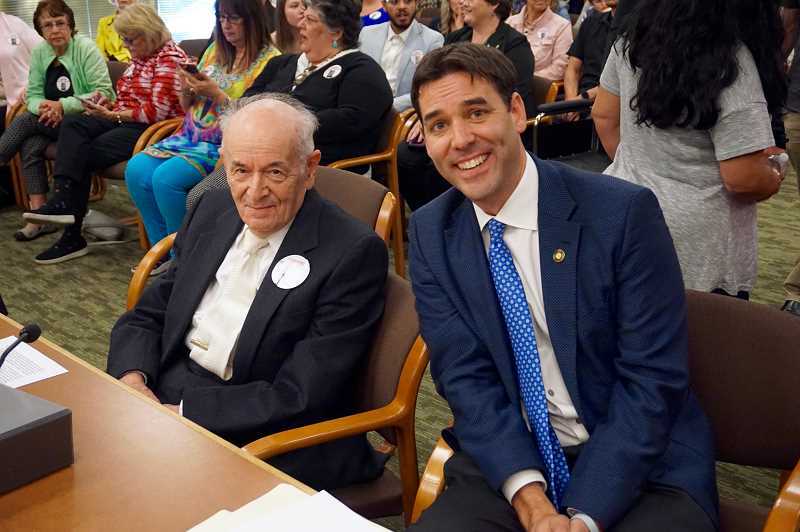 Rob Wagner in Salem on Tuesday to testify in front of the Senate Committee on Education about the importance of Holocaust education. 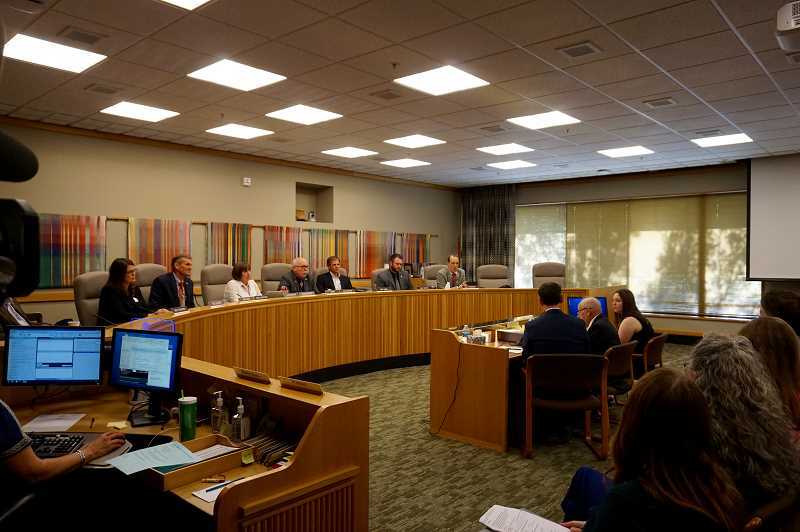 The informational hearing was the first step in their goal to make Oregon the 11th state to mandate Holocaust and genocide education in its schools. Wagner hopes to introduce a bill in time for the January legislative session. Sarnowski came to know Wiener four years ago after she attended one of his talks about his experiences during the Holocaust. She was only in the fourth grade at the time. "It was so moving and interesting to me to hear his personal account," she said. "I knew about what happened in the Holocaust, but I didn't truly understand until I got to hear a survivor speak." Four years later, Wiener has become a part of the Sarnowski family. "Claire is an exceptional young girl. Very talented, curious, and very sensitive," Wiener told The Review on Tuesday. "I think she had tears in her eyes the first time she came to see me." Sarnowski also had tears in her eyes as she testified about an issue that has become close to her heart. "Alter always says there are two ways to get warm: put on a fur coat, or light a fire so others can be warm too," she told legislators. "He was such a generous and kind man. I remember thinking, 'How could someone exhibit so much kindness after going through the things that he has been through?'" 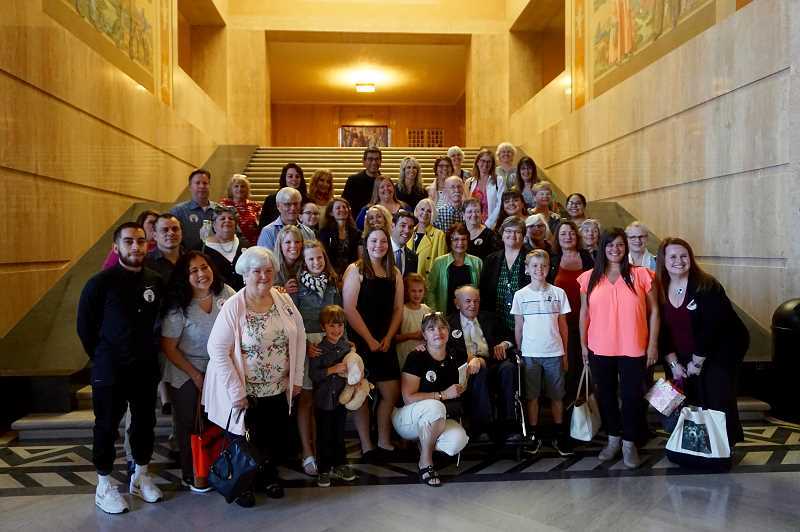 Sarnowski said she would be proud to see Oregon become the next state to require Holocaust education, so that Wiener's story and those like his can continue to be shared. Wagner agreed, saying that the farther time moves away from the Holocaust, the more "we are losing our history." "Consider the message we send if we do not talk about Holocaust and genocide education," he told the committee. Wiener's testimony was the lengthiest, and for good reason. His father was murdered in Poland by German invaders when he was only 13 years old, and Wiener himself was taken to a forced labor camp at 15. He eventually spent time in five different concentration camps, and when his last camp was liberated in 1945, he was 18 years old and weighed just 80 pounds. He was one of only two surviving members of his entire extended family. "I have never dreamt that one day I would be invited by legislators from a state in the United States to speak in front of such a distinguished audience," Wiener told the committee. Wiener said he didn't always feel compelled to share his story, but after seeing the impact it had, he began to hold talks at schools, churches, synagogues and more. He has now shared his story with more than 850 live audiences. "The haunting memories of the Holocaust are still fresh. I'm crying in silence. I'm tortured by nightmares. Not all scars can be healed by the passage of years," Wiener said. "I might appear to be a normal person, but I absolutely am not. 'If you are tortured once, you are tortured forever.' John McCain said that." Despite Wiener's history, he is not bitter. 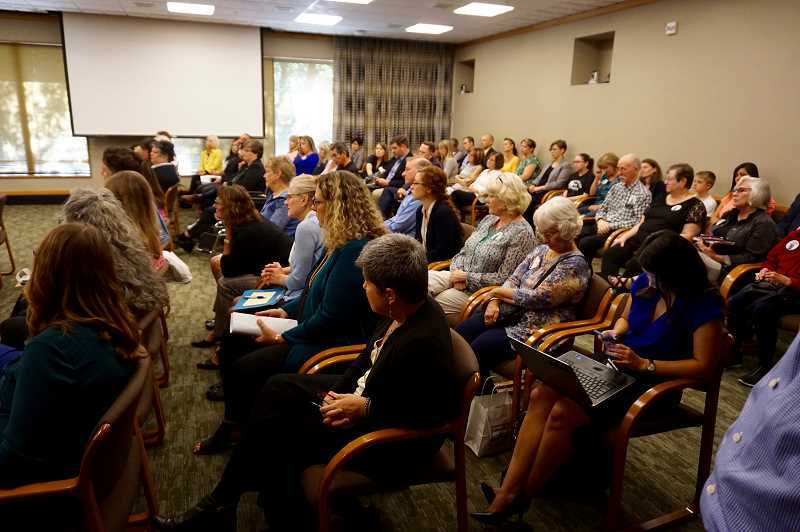 Through Holocaust education, one can learn "how to be more tolerant, more loving, and that hatred eventually turns to destruction," he told legislators. Wiener stressed the importance of continuing to educate young people about this part of human history, saying, "It becomes imperative that future generations of all people assume the holy task of remembering the legacy of the Holocaust." For Wiener, Holocaust education is much larger than preserving his story for his own sake. He has received more than 88,000 letters from people who have been impacted by his story. "Getting this bill passed would mean to me that I'm going to save more lives," Wiener told The Review. "More children are going to go back to school. People can realize that their problems are not so big. We have a responsibility to teach the Holocaust." The Senate Committee on Education seemed to agree. "For my entire life, this has been an important issue for me," said state Sen. Arnie Roblan, the committee chair. It's inspiring "to see someone like Mr. Wiener, who experienced so much hate and turned it around and now shares his compassion with all of us." "I grew up in the shadow of the Holocaust, surrounded by people with numbers tattooed on them," said state Sen. Michael Dembrow. "This (presentation) was a very moving experience. The Holocaust education has to be presented as living history. It's important that this remains not only a part of our history, but as a part of our life values."